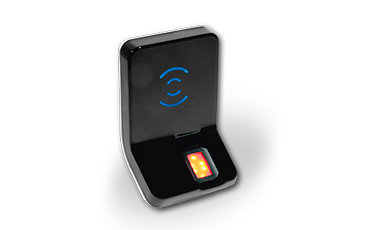 The CloudSensor is the most versatile biometric terminal intended for access control and time & attendance. The CloudSensor uses the Morpho proprietary algorithms, which have acquired worldwide reputation for its accuracy and level of performance. Its rapid networking capabilities enable the CloudSensor to address all security applications, from one-door control to the protection of buildings, warehouses, vast infrastructures and government agencies such as FBI. The hearth of our fully autonomous system is the PowerBox which powers our CloudSensor and CloudBox by using PoE (Power over Ethernet) reducing the cabling complexity. This reduces chances of failure while at the same time keeping our product visually clean and organized. The PowerBox allows devices to reach up to 100m distance, covering any distance or physical requirements interns of signal and communications. An autonomous system is required to have by definition an autonomous connectivity. CloudBox is exactly that. Connectivity anytime & anywhere. By using Mikrotik's patented technology and Ingens Networks engineering, the CloudBox connects securely over to the cloud using 3G/GPRS connectivity. Combining the low data bandwidth requirement of the Cloud Sensor with the 3G/GPRS connectivity is what makes the BioCloud a truly autonomous and non-disruptive system. MorphoAccess® 500+ Series is a range of high-performance fingerprint identification terminals for Physical Access Control and Time & Attendance management so fast, accurate and reliable using a FBI PIV IQS certified sensor with large reading surface. Enable authentication of up to 50,000 users. The MorphoAccess® J Series fingerprint identification terminals are easy to implement access control devices. 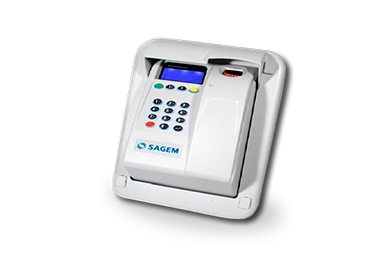 Combining stylish design and reliability, they bring the security of biometrics to any kind of installation, in prestige premises (corporate offices, administration buildings etc…) or outdoor environments. 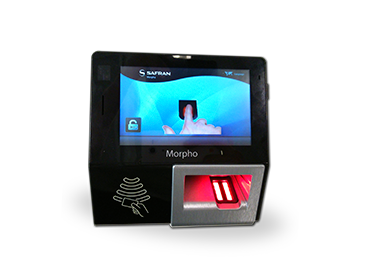 The Outdoor Morpho Access® 500 Series, OMA 500, are versatile biometric terminals intended for access control and time & attendance. Fast and network capable, they can address all security applications, from one-door control to the protection of buildings, warehouses, vast infrastructures and government agencies. United in a team whose experience and skill level have no equivalent in the industry, experts from Morpho and Bioscrypt join forces to design the best of breed fingerprint identification terminal. Tailored for both Access Control and Time & Attendance applications, the morphoAccess® SIGMA Series implements no fewer than 20 patents to master biometric identification and deliver a host of additional features, together with a refined and enjoyable user experience. The MorphoSmart™ Optic 300 Series (MSO 300 Series) is a family of robust and high quality optical sensors capable of: high quality single fingerprint image acquisition, biometric template coding and fingerprint matching. As such, they cover a wide range of applications in commercial and important governmental environments. 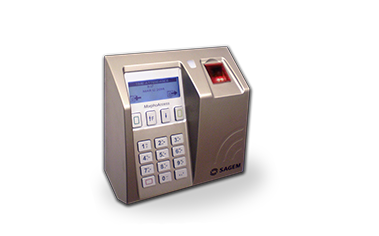 Fingerprint readers have been designed to address the needs (security, user friendliness) of logical access control to highly secured desktop PC applications and enrolments in industrial, corporate or governmental environments. The MorphoSmart™ 1300 Series are based on a fast and cost effective optical sensor.